Let’s Change the Focus From Self-harm to Recovery! 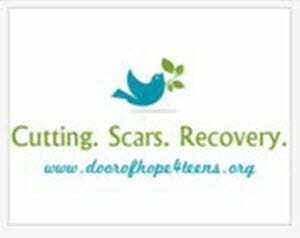 Door of Hope 4 Teens, a non-profit organization providing emotional support, guidance, and resources to teens and young adults who struggle with self-injury, also known as cutting. Their crisis care advocates provide FREE services via texting, email correspondence and phone conversations. We believe the secret addiction of self-injury grows in the dark and the light of Christ can offer healing through this recovery process. You are not alone. Take your first step today towards freedom, we are waiting to hear from you. TheHopeLine’s partner, Door of Hope 4 Teens, is a Christian organization that provides emotional support, guidance and resources to young adults who struggle with self-injury.